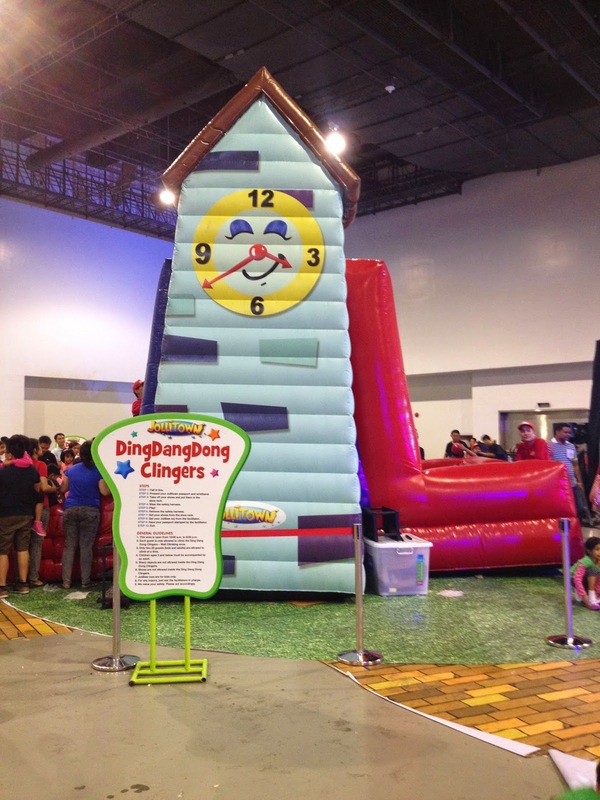 the canDIshhh tales: Jollitown's The Big Fun Event at SMX!! I knew that it was going to be a fun mayhem, thus I decided to visit late in the afternoon so I won't be *in the rush of the things*. I got to SMX at 4PM and I was shocked to learn that the tickets were sold out! Yes, the tickets were all sold out - which meant that the event was really successful - YEY!! What was nice was that they made people go in, even without tickets. 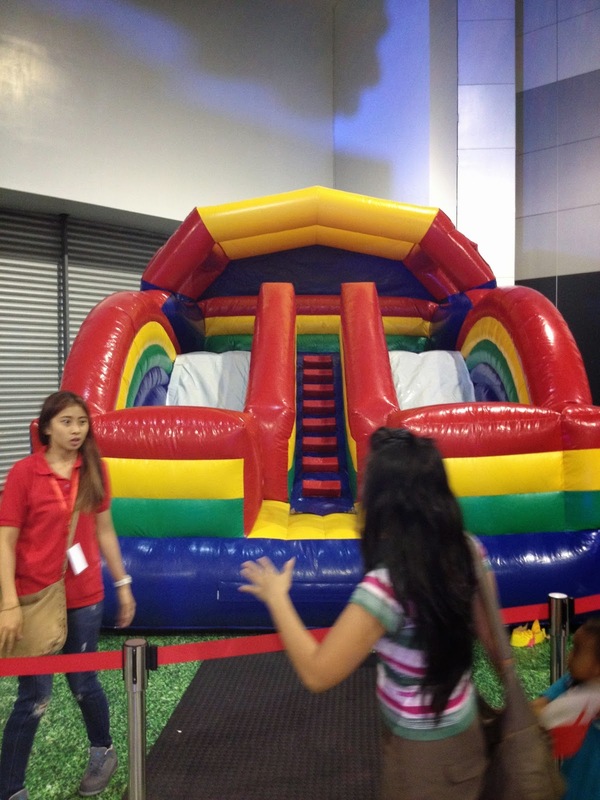 Unfortunately, you can only see what's inside - the kids are unable to enjoy and join in the fun with the inflatables. But nevertheless, the look on their faces were priceless - you can see the happiness in their eyes. When I got in, kids were running around like there was no tomorrow. Parents were as well, running after their kids! You can see the delight in their faces, the parents were tired alright - but good tired since everyone seems like having fun. Bubbles are the easiest and fastest way to entertain kids. 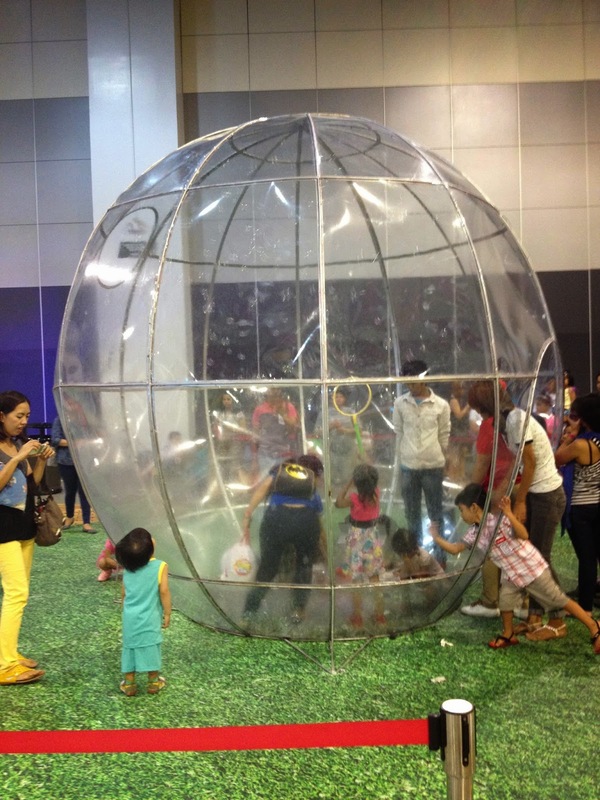 Imagine the kids' delight to be able to make bigger bubbles! I wish we had this when I was a kid! This inflatable slide suddenly stopped taking in kids. But I'm sure it was able to put smiles on kids faces and delight in their glee. Oh my this is the place where you have those giant velcros and you get *stuck* up there on the wall for a while. For sure my Panget would have loved seeing Kailee and Connor *stuck* on the wall up there for a few hours! Hahaha.. 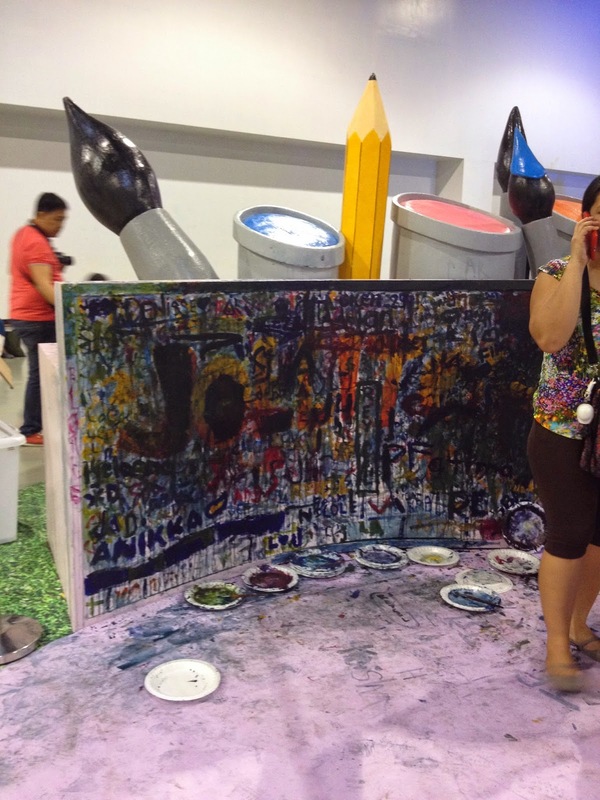 This was the Freedom Wall - well sort of, it looks super kawawa now. This was the *main event* inflatable - and most everyone was familiar with this! A perfect combination of bouncer and balls. It's mayhem inside, for sure! A safe kind of mayhem. For those who were unable to get their Loot Bags (like me) during the event. You may claim them at any Jollibee outlet starting November 3, 2014. Thank you Jollibee for #TheBigFunEvent! 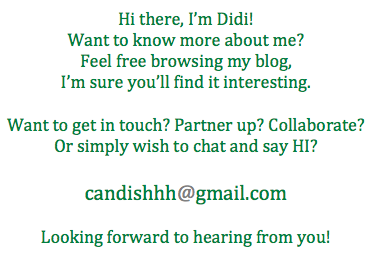 I hope you can do this more than once a year! !